Videos become popular in web design. 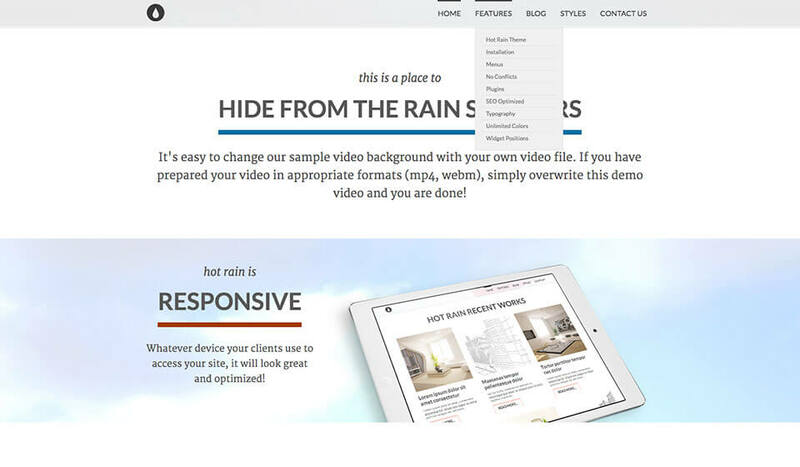 This is the first WordPress video theme in our collection. This summer, we created a responsive WordPress theme with video background. 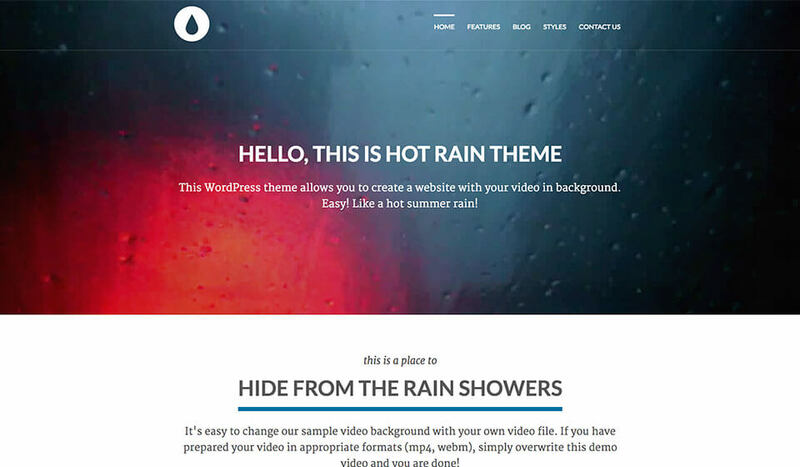 Hot Rain, WordPress video theme is designed in a form of a long page. There are many elements published on the home page. It also contains the inner pages, dedicated contact page and blog page. Many elements from the home page show the company’s messages or some key information about a product. 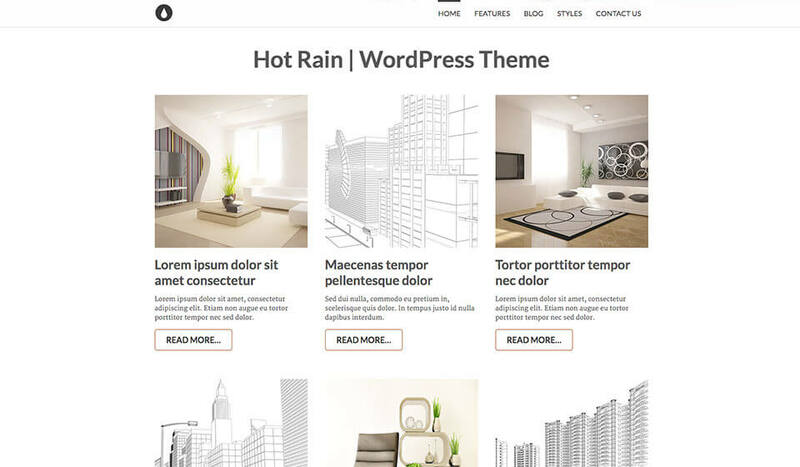 The WordPress video theme Hot Rain is based on the latest version of Sparky Framework for WordPress. New version has many new features added. 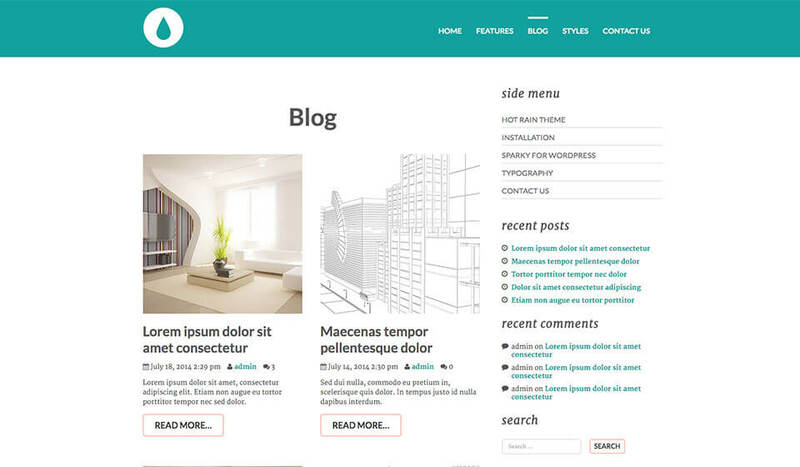 Therefore, this theme has support for the HTML5 elements. 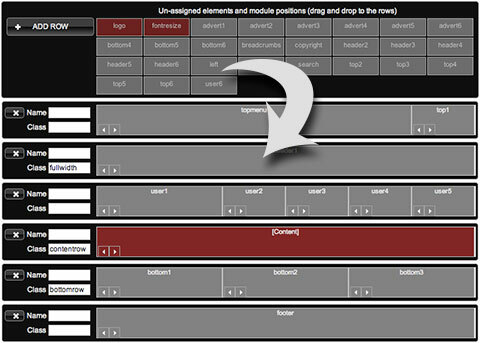 Those elements include header, footer, video, nav, etc. 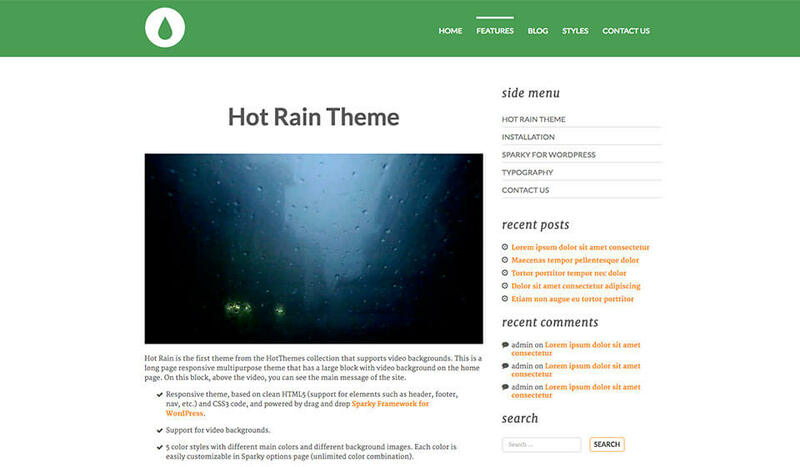 Rain theme design and UX are based on CSS3 and jQuery. Also, a new version of Sparky supports the popular Font Awesome collection of icons. 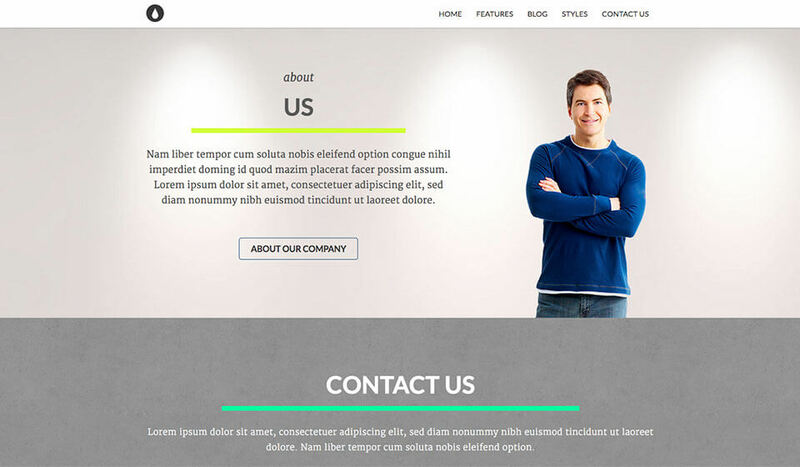 This theme contains several responsive WordPress plugins by HotThemes. These plugins are Hot Full Carousel, Hot Film Tape, Hot Slicebox (for slideshows) and Hot Maps (for Google Maps). 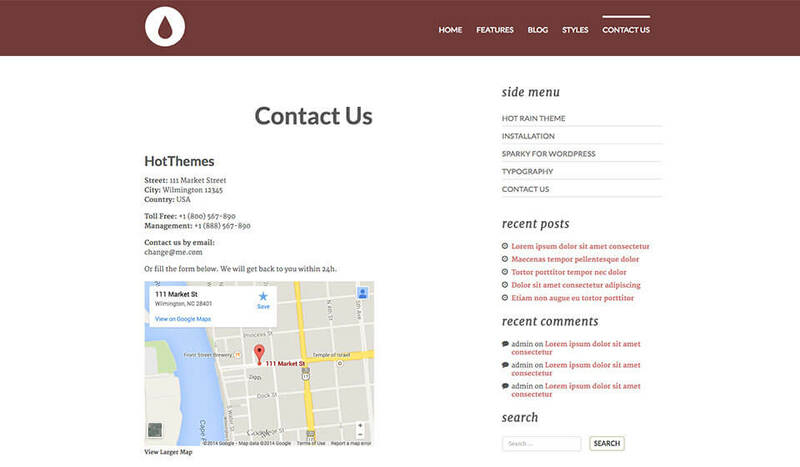 All plugins are styled and configured for using with this theme. 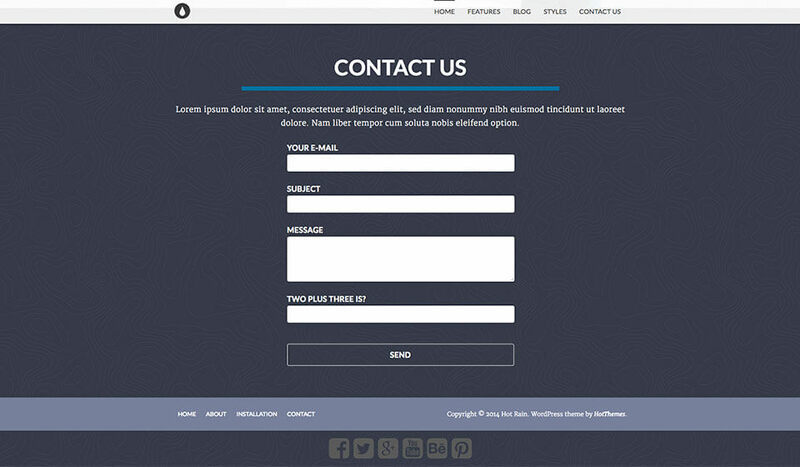 Many modern features that follow the contemporary web design practices are included in the responsive Hot Rain theme. 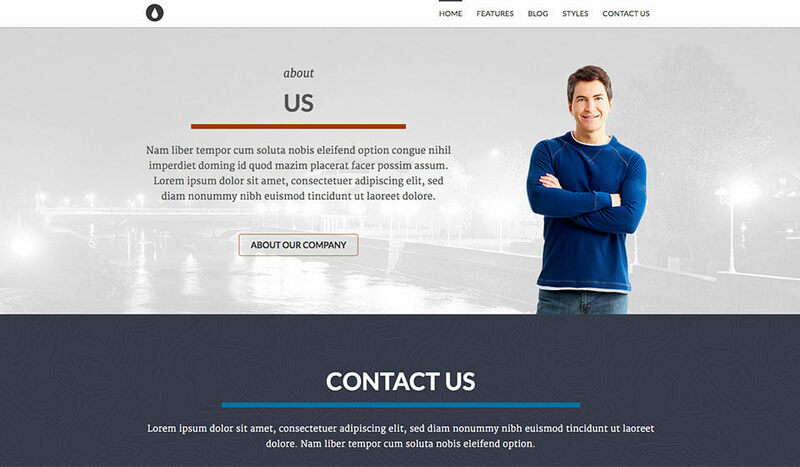 We are trying to bring your sites to the new heights with this WordPress video theme. Full support for video backgrounds is included. You can simply change our demo video file with your file. Or you can use our video of rain shower on your site, if you like it. Hot rain has 5 pre-defined color styles. All colors are easily customizable from the Sparky options (infinite color options).